The specialist committees in Parliament have given favourable opinions to the budgets of ministries and public institutions for this year. 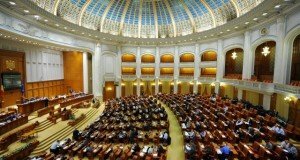 The programme to provide vitamin D for children has passed, although the budget of the Romanian Intelligence Service (SRI) has been given the green light without the cut demanded by ruling party’s chairman Liviu Dragnea. Last week he had stated that the budgets of the intelligence services should be cut and the money should be allotted to the healthcare programmes, for instance to grant vitamin D for children free of any charge. 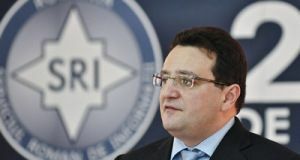 On the other hand, the budget allotted to the Public Ministry (the General Prosecutor’s Office that coordinates the activity of the National Anti-corruption Directorate-DNA and of the Directorate for Investigating Organized Crime and Terrorism – DIICOT) has stirred controversies, as the Prosecutor General, Augustin Lazar, has warned that the money allotted to them this year doesn’t ensure the proper functioning of the Public Ministry. “Under these circumstances we’ll not be able to fulfill the targets of the Public Ministry (…) we proposed an amendment to have more RON 19,800 considering the needs of judiciary, accounting and forensic expertises have increased“, Lazar argued, but the committee chairman claimed that no amendment can be accepted now, as they should have been sent to the committee in due time. Felix Banila, the DIICOT new head was also complaining the other days that the budget allotted to his directorate is low and will negatively impact on their investigations. 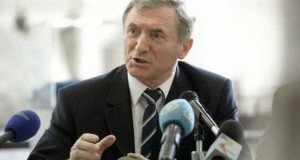 In his turn, Ombudsman Victor Ciorbea, although he is close to the ruling power, has complained that the budget is too scarce and doesn’t cover for the institution’s staff expenses. The joint plenary sitting of Parliament to debate and adopt the 2109 budget draft will start on Wednesday afternoon, while the final vote is expected on Friday.